No! Not Sylvester Stallone's Barney Ross character from The Expendables movies, but one of Boxing's Greats! Yes! THAT Barney Ross (72W-4L-3D)!! Barney Ross ... World Champion in 3 different weight divisions, THAT Barney Ross. Barney Ross ... the GREATEST Jewish boxer of all time, THAT Barney Ross! My friend, Douglas Century, the biographer of Barney Ross posted to his Facebook on Ross' birthday tonight. With his kind permission, I am archiving to my site. An aside, regular readers of my site should recall that Douglas Century is the same author of Street Kingdom, the book that had some info on 52 Blocks! I recently was reminded that I wanted to buy a copy of the Barney Ross biography and last week, I was able to find it in a used bookstore. I intended to look up his birthday when I had time to read it and perhaps post a review of the book on Ross' birthday. It was as my friend Douglas says, "... in Yiddish "bashert" - means "meant to be..." - it was bashert as I sat down to dinner tonight and checked in on Facebook and saw Douglas' posting! Great chin, footwork, superlative boxing skill, ring generalship, and a sweetheart of a guy, from what his family members tell me. And he proved himself in those wars with Jimmy McLarnin and Tony Canzoneri. 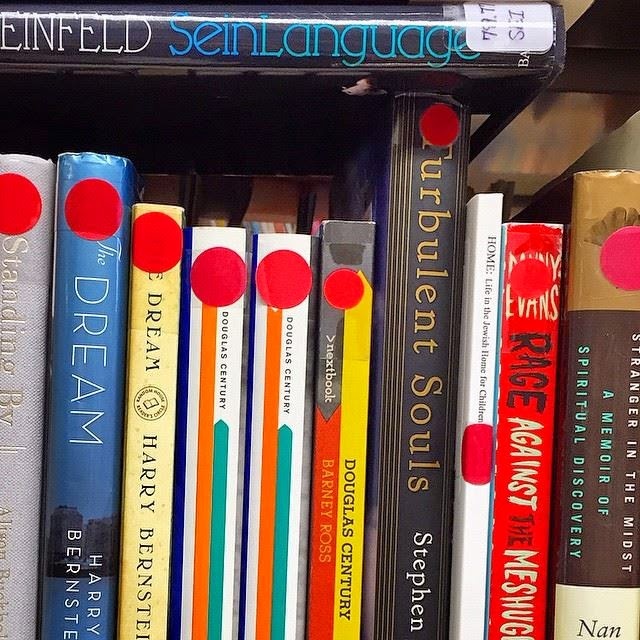 My mom was doing a senior's exercise class, I was working out, then we stopped in the library at the Scottsdale "J" - saw some copies of the book, and I realized it was Barney's birthday. 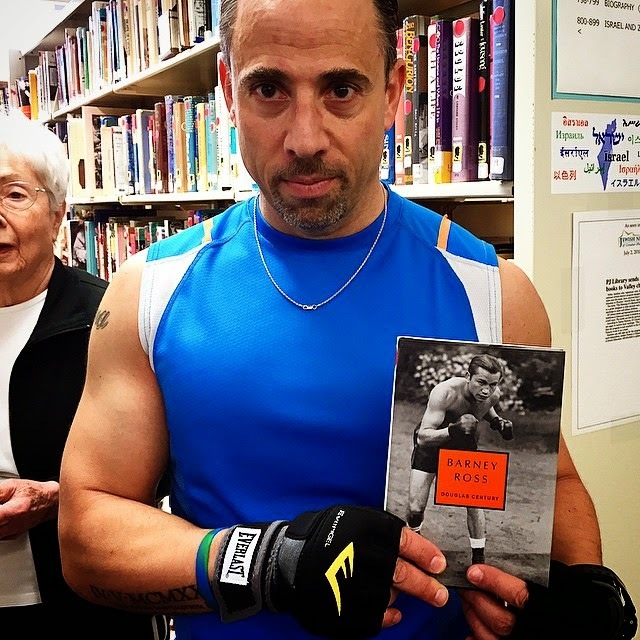 Not only was Barney Ross a Champion Fighter, he wrote a book, Fundamentals of Boxing, teaching his craft.